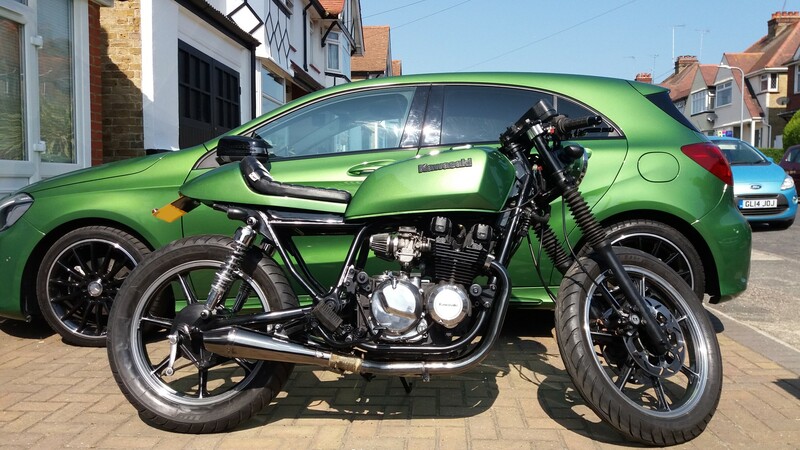 This stunning Kawasaki GT550 was also built by our very good customer, Peter in Kent. As you can see from the photos, the bike was inspired by his car! To begin with, when we heard Peter’s plans for the bike (colour etc.) we wasn’t too sure. But he has proven us all wrong with this absolute beauty!